The Tanzanian education system is based on the British system of education. at least three years of higher education. Pre-primary schooling is free, widely available, and well-attended. Distance to school can be a barrier to attendance in Project Zawadi’s program area and schools are actively looking for ways to address this issue and increase enrollment further. 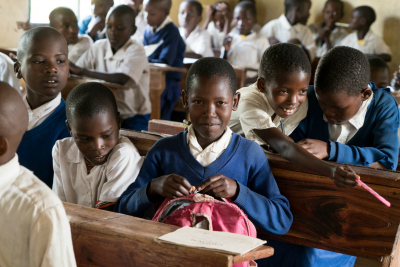 Primary school is free and compulsory in Tanzania and enrollment is near 100%. However it is common for students to start late, miss some years, or not attend school regularly. This is especially true in rural areas like Nyamuswa due to reasons that range from the cost of uniforms and school supplies, to the need for the child to contribute to the workload at home, to the practicalities of travel to and from a school that may be located quite far away from home. In primary school, students study subjects including reading, writing, mathematics, Swahili, English, healthcare and the environment, sports and arts, and religious studies. School conditions are often difficult. Virtually every primary school in the Nyamuswa area has a shortage of classrooms, desks, textbooks, and teachers. Most also lack access to electricity, reliable water supply, adequate toilets for students and staff, and housing for teachers. Upon completing primary school, all students take a national exam in nine subjects. Students must pass at least five subjects in order to continue their studies at the secondary level. In 2017, 72.8% of students taking the exam, passed. The remaining students who failed the exam have the choice of entering into a vocational program, pursuing placement at a private school if they wish to continue on to secondary school studies, or leaving out of school altogether. Students who are successful in the national exam at the end of primary school may be placed at secondary day schools in their local community or at boarding schools that may be located quite far away. Students also begin to specialize in their studies and must choose either an Arts concentration or a Sciences concentration. Secondary school brings with it a change in the language of instruction from Swahili to English. For many students English is their third language, behind a tribal language and the national language of Swahili. Students often arrive at secondary school poorly prepared by their primary studies to conduct secondary level classroom learning in English. 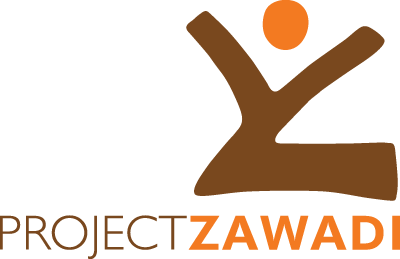 In 2013, Project Zawadi began the English Bridge (insert link) program to offer an English language intensive course in the school break between primary and secondary school to address this issue. 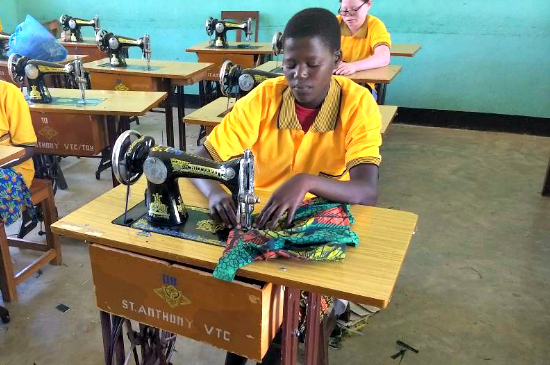 Conditions at the secondary school level are a step up from the primary schools, but many of the same shortages exist, though they are less extreme. Costs for attending secondary school are much higher than primary school and can create a significant challenge for families. This is especially true if students are placed at boarding schools and have associated costs for room, board, and travel in addition to the cost of uniforms, school supplies, and school fees. Students sit for a non-binding national exam at the end of Form 2. If a student fails the exam, they have the option of repeating their Form 2 year and re-taking the exam again the next year. Even if a student fails the exam their second time around, they may advance onto Form 3. 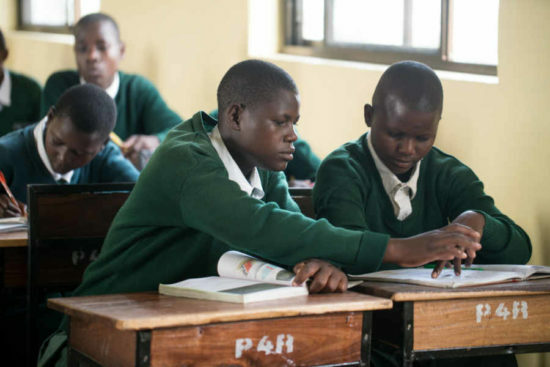 But because the likelihood of academic success at higher levels is low, many students who fail the Form 2 exam choose not to pursue their secondary schooling further and explore other options like vocational training or enter into the workforce at this point. At the end of Form 4, there is another binding national exam. If a student passes the Form 4 exam in at least five subject areas, they have earned the Certificate of Secondary Education. In 2017, 70.2% of students taking the exam passed and earned their Certificate. Of the students that passed the exam, Only the highest achievers on the exam, 27% of students who passed, in 2016 are placed at Advanced Level secondary schools. Those that fail or that pass and are not placed have the choice of entering into a vocational program, teacher training college, or other specialized training or may leave school altogether. The switch to Secondary Advanced Levels often includes placement at a different secondary school location than where students completed their Ordinary Levels. Students continue on the course of study started in Ordinary Levels, but become much more specialized. If students are successful on the national exam at the end of Form 6, they earn the Advanced Certificate and qualify to continue their studies at the university level. In 2016, 81.7% of students passed the exam. Students may earn a Bachelors degree after three years of study for many programs, though specific courses may take longer. Masters degrees require an additional two to four years of study. Whether they complete university, return home to practice agriculture with their families, learn a trade, develop a skill, or receive specialized training in a specific field, Project Zawadi supports graduates on their path to self-reliance in their chosen career or trade.